All you need to do in order to see the good in the world is to look in the right direction! Some people still think that everything is more or less negative. Of course, this is not the truth! There are positive vibes all around us. All we need to do is open up to them and let them get a hold of us! We were able to compile the following list which will hit you right in the feels! Enjoy them. 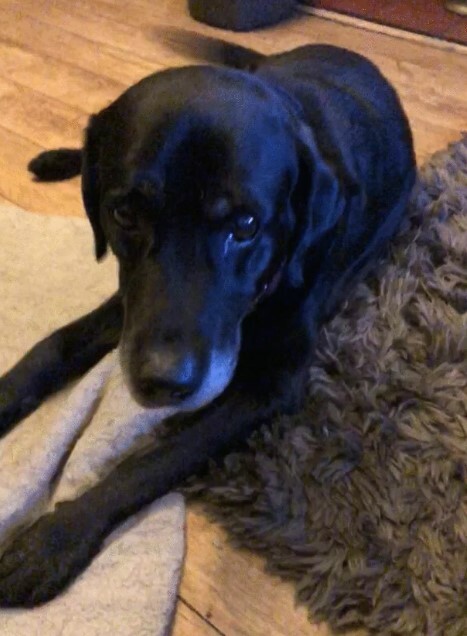 We are about to give another example why we simply do not deserve dogs! These creatures are simply too pure for this world! We are extremely lucky to have them in our lives. This particular dog is a hero after helping another dog! It turned out that the other canine was stung by a bee, and an anaphylactic shock followed. The hero dog immediately alerted the owner, and this is the only reason one life was saved! This is a truly inspirational story and we liked it a lot. In today’s world helping a stranger would be considered as a very special thing, which is sad. As you can see, someone did exactly that and helped a stranger! 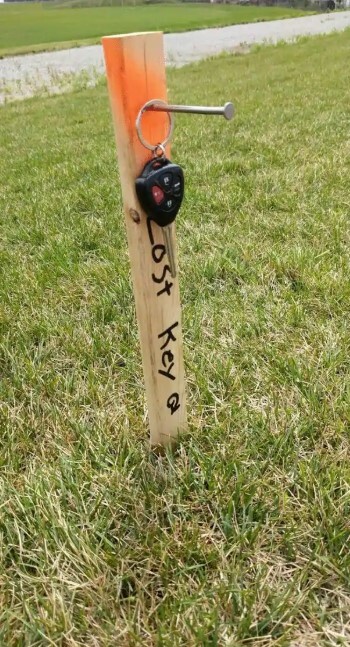 A land surveyor found this car key while working. He figured that he should make it easier for its owner to find it. The simple thing he did was to stake it on the spot where he stumbled upon it. The plan worked and the lucky person was able to find their key easily! There are special people among us, and those with autism are definitely among them! Each of these people is a whole new universe that is hard to be explored! 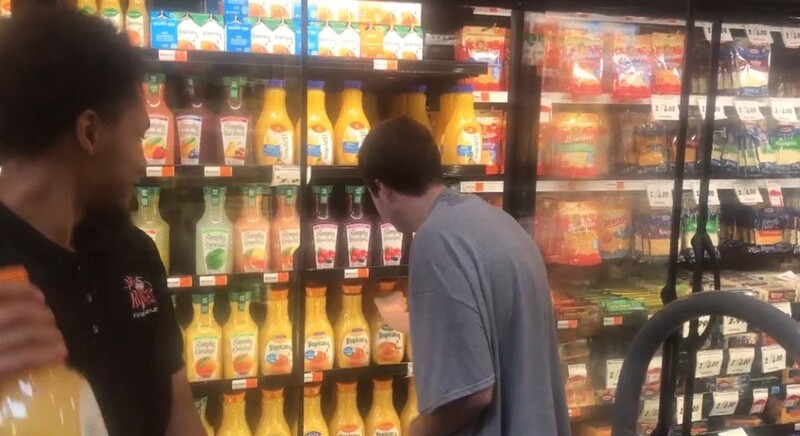 This photo shows an autistic young man who suddenly showed interest in arranging shelves. 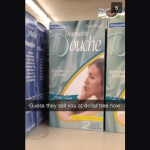 Every time he was grocery shopping he wanted to stock some of the products. A kind employee let him do it and even spent some time showing him how it needs to be done. This is the best kind of attitude! This Indiana synagogue suffered an act of vandalism. Someone broke in and painted hateful graffiti everywhere, which was probably devastating to see. However, in a time of need people showed that they can be united. 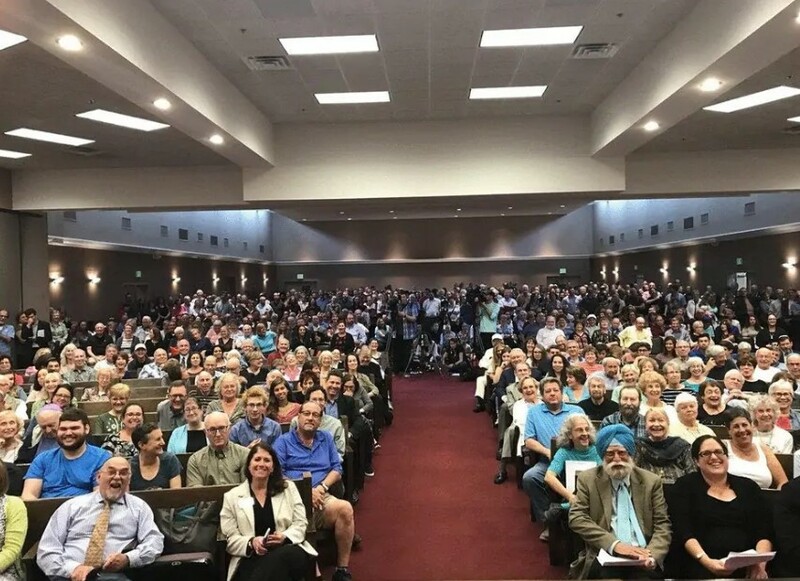 Even better – the synagogue was filled with people from all religions! They did not let their differences stop them from showing solidarity. This is the right thing to do because we are all equal! We mentioned that there are a lot of special people among us, and some of them need assistance with certain things. They require attention and the right approach! 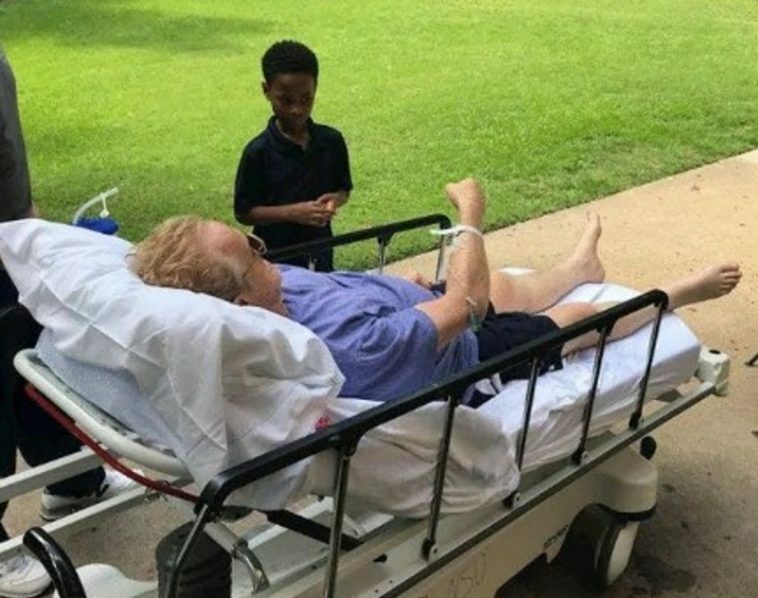 As you can see, this man found the best way to help one of his campers. 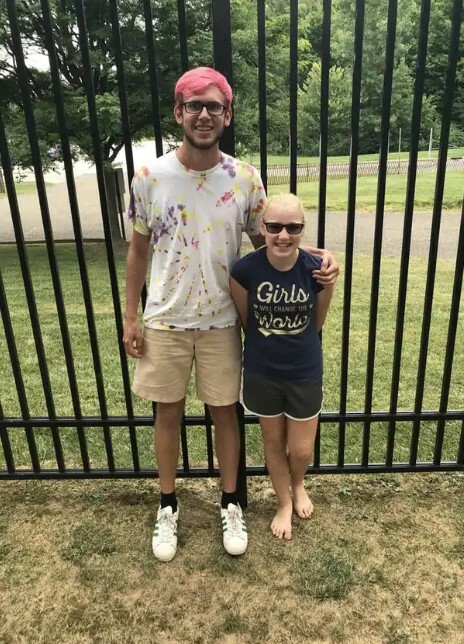 As soon as he found that she was diagnosed with dyslexia, he decided to challenge her in the best possible way! She accepted the challenge and actually managed to fulfill her part! This is why he had to fulfill his, and the result is obvious. Sometimes it takes just a little effort to make a big impact! This photo proves it, and we were left speechless after we saw it. 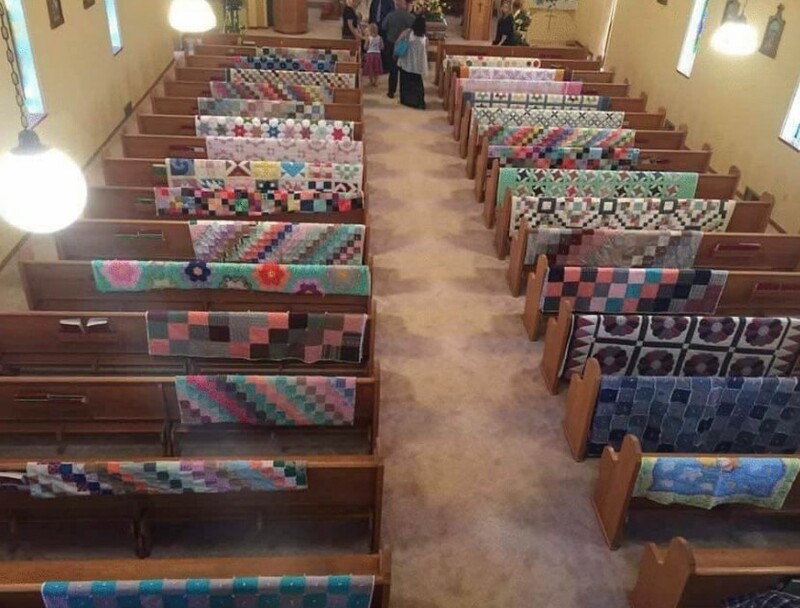 When a quilter passed away, her family and friends decided to make a tribute to her and her work. They brought a lot of the quilts she made with her own two hands to the funeral ceremony. This way a stunning display was created, showing that she was a master of her craft. We think that it was the best way for them to show their love and to pay their respects to the woman! This is one truly selfless act and probably the best example of kind neighbor relationships. 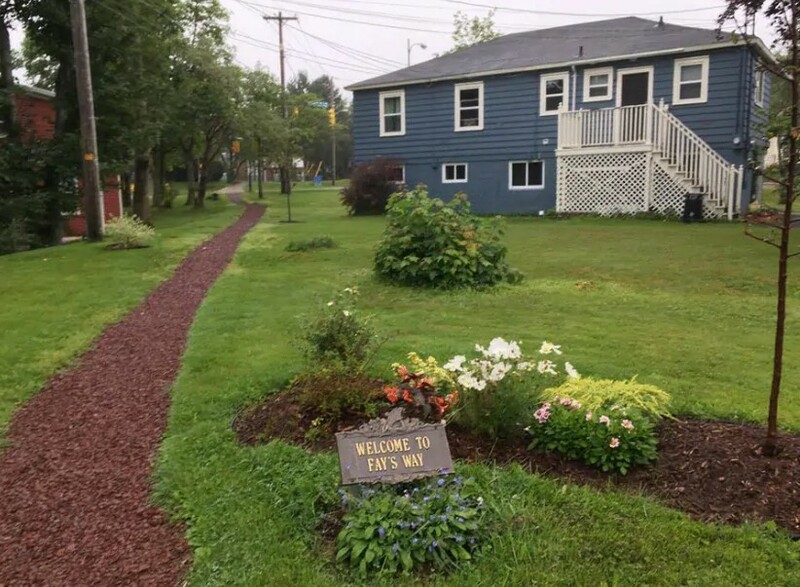 This homeowner noticed that people often walked through their yard. They used it like a shortcut to save some time. Perhaps most people would build a fence, but not this person! Instead of blocking the shortcut, this homeowner decided to build a path! As you can see, the path has been named as well! 8. 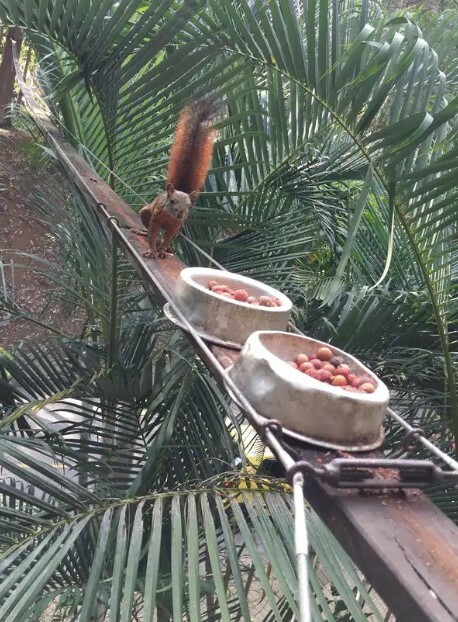 Would you believe that someone built a squirrel bridge? We support the old saying that you should judge a man by the way he treats animals. This is probably valid for the majority of people. The thing that matters here is that we are capable of helping creatures that cannot thank us verbally or pay us back. By doing something without expecting anything in return, we show our good nature! This is what someone did by setting up this improvised squirrel bridge over a street. As you can see, it works just fine! As we already mentioned before, it takes something little to make a big change. It all depends on the point of view, actually. 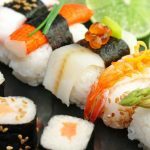 This restaurant’s management probably knew exactly how much food waste they have daily. They also knew that a lot of people could not afford a meal there. This is why they simply combined the two problems into one beautiful solution. Such generosity is more than admirable and these people earned our respect! Doing the right thing when nobody is watching means that you have integrity! Fortunately for us, someone saw these men and took a photo. The police officer you see tried to help a woman whose SUV broke down. The other man is a mechanic who saw the situation and grabbed his tools. They probably fixed the vehicle, but they did something more. 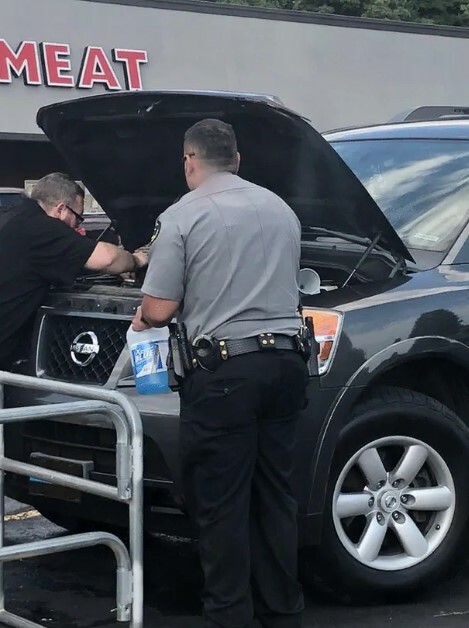 As you can see, the police officer is holding a container of windscreen washer fluid! Sometimes life offers you the opportunity to make an instant change by saving a life! It doesn’t matter if you save a human or an animal! The point is that you provide a soul the chance to live life instead of losing it! 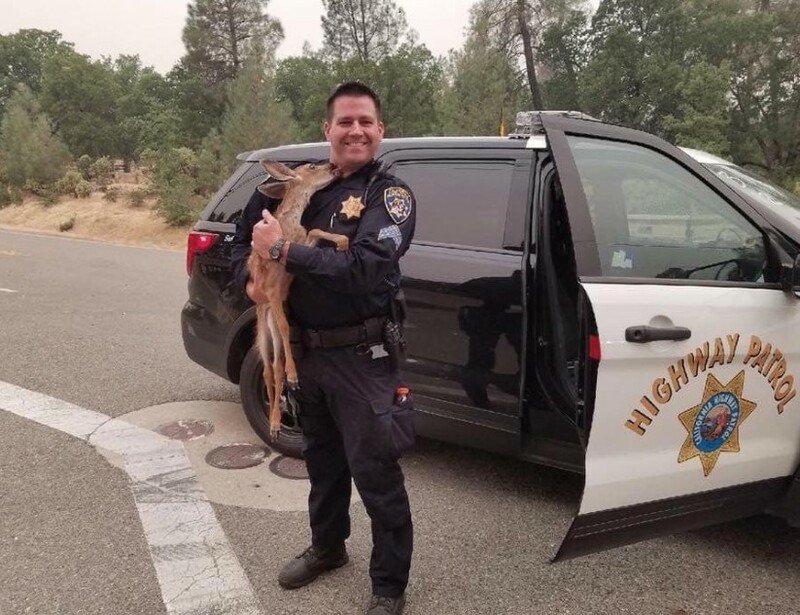 This happened when a police officer rescued a fawn from the California wildfires. This instantly makes him a hero, and the fawn seem to be more than grateful for its rescue! Every time disaster strikes somewhere in the world, a lot of volunteers usually help the authorities and the rescue crews to fight the elements and to save lives. This is a selfless act and we admire such people! Sometimes even famous people step in and try to provide as much help as they can. This photo shows just one example of that! 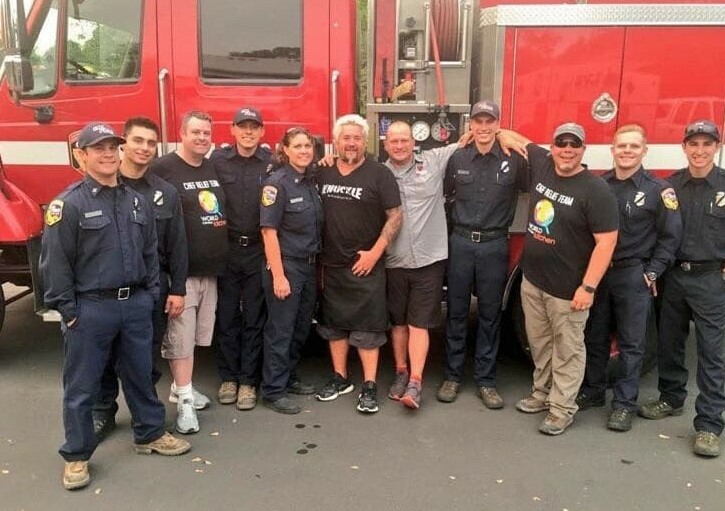 The famous restaurateur Guy Fieri gathered volunteers and even set up a kitchen to provide food for everyone involved in the rescue activities during the Carr wildfires. Sometimes all a person needs during some bad times is someone to lift their spirits. 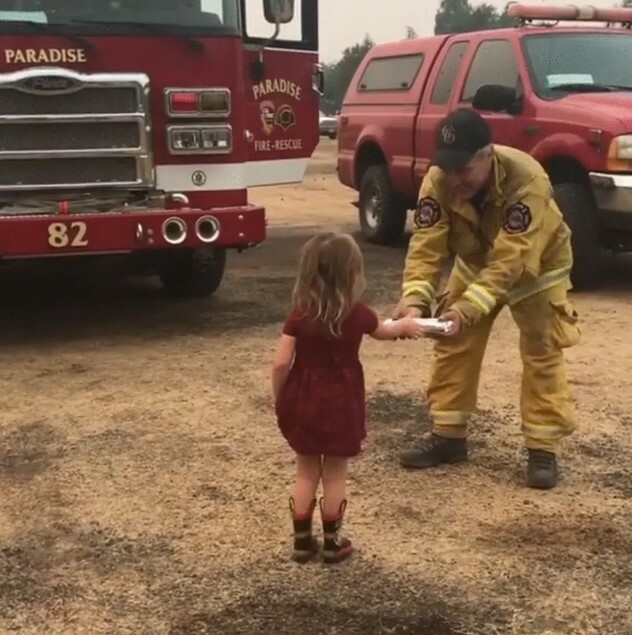 What better way to do that than send a little girl to give food to the firefighters and volunteers? Imagine seeing the cute little princess in such a place! We bet that everyone who saw her smiling and bringing food to everyone felt better instantly! Nobody could resist the charm of this little helper! We also admire her bravery and determination to help. Sometimes a smile can make a big difference to a lot of people! There are certain situations in which people could not take care of themselves. This is especially true when it comes to kids and elderly people! They are often helpless in seemingly simple situations. 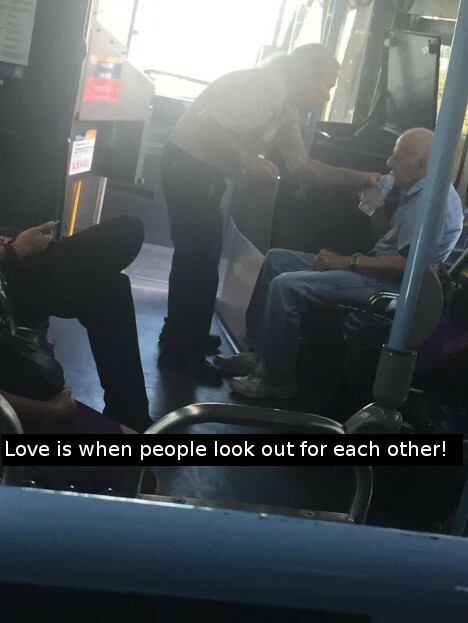 As you can see in the photo, a bus driver stepped in and helped a senior citizen. The driver thought that the passenger looked dehydrated, and quickly grabbed a bottle of water. He then gave the passenger a few sips of water, which may have been vital considering the temperatures of over a hundred degrees! We have a lot of respect for people who do not hesitate to help those in need. It seems that money and interest have taken over a huge part of the relationships between people. This is a sad thing but it is a fact, unfortunately. However, we are convinced that the true nature of humanity is beyond those things and everyone would help each other in a time of need! 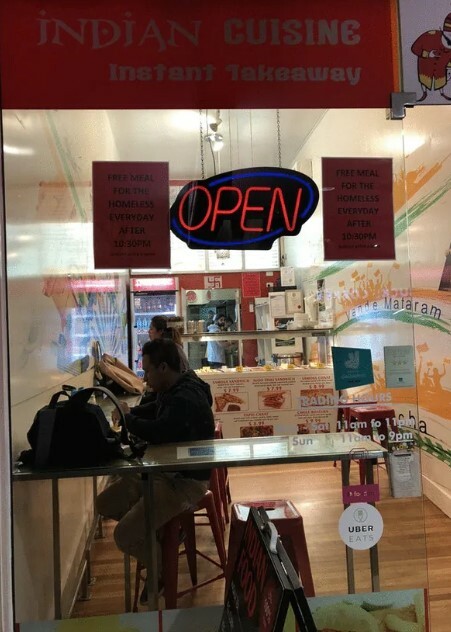 This diner’s owner is really setting an example with his amazing customer policy. As you can see, the place is giving away food to those who cannot afford it. 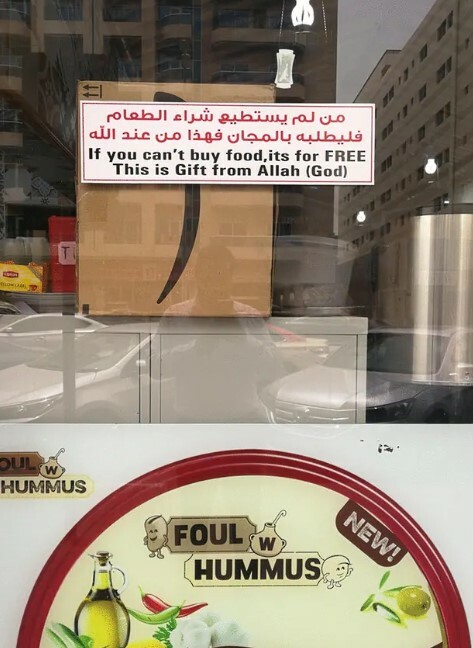 We wish that more places could follow this example and bring warm food and smiles for those who struggle with their lives!